Pom poms, google eyes, washi tape, and bakers twine is the ingredient list for the funnest Halloween garland I have ever seen! 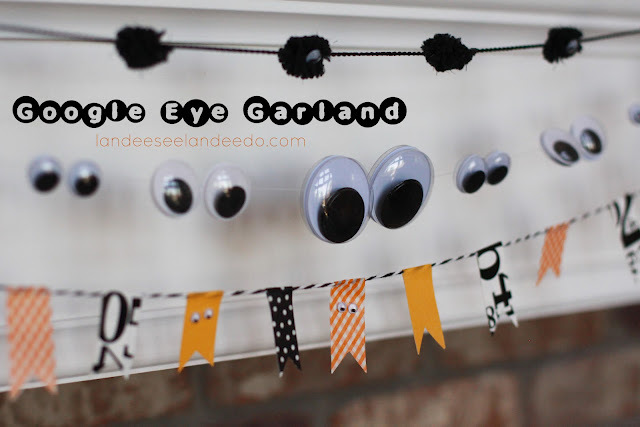 Landee used them all to create this fun google eye garland for her mantle. I am not sure which strand is my favorite! Landee is sharing the tutorial for her google eye garland over at Eighteen25, so make sure to go check it out!